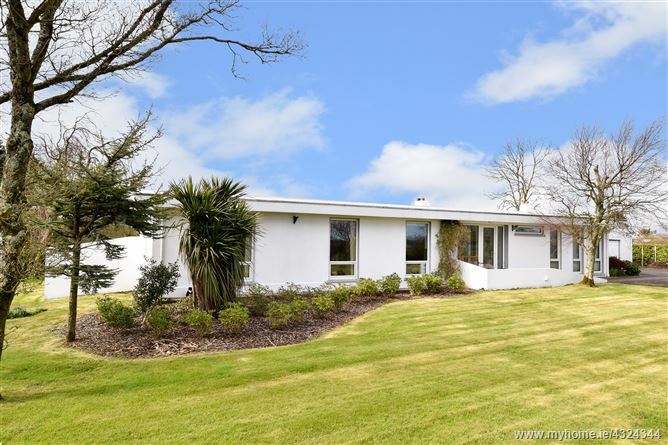 O Donnellan and Joyce are delighted to offer for sale a magnificent three bed detached property situated on a private site measuring circa 1.5 acres with meticulously manicured gardens surrounding. The property provides elegance, privacy and tranquility with all the attractions and amenities of Galway City and Moycullen within easy reach. Seldom does the opportunity arise to acquire such a unique residence on a superb private site which combines phenomenal views over Galway City, stretching out over Galway Bay and as far as the Clare Hill. This wonderful property is nestled within tranquil surroundings in the exclusive residential area of Circular Road. Circular road has long been regarded as one of the most sought after addresses in Galway City with the beautiful Lough Corrib to the North, the wild Atlantic Ocean to the South, the vibrant Galway City to the East and stunning Connemara to the West. From time to time a one of a kind property comes onto the market and such is the case with this stunning detached property at Circular Road. There are many schools to choose from within Galway City, but the nearest to this property are St James NS in Bushypark and Galway Educate together in Newcastle. Located just 2 kms from NUI Galway, University College Hospital Galway (UCHG) and the IDA business park, Circular road has everything you could want from a family home in terms of lifestyle, location and natural amenity. The popular village of Moycullen is located close by and has lots to offer in terms of schools, shopping and dining facilities such as the well-known White Gables and much more. The River Corrib and Lough Corrib are ideal for fishing enthusiasts and there are many boating clubs in the area catering for all types of water activities.